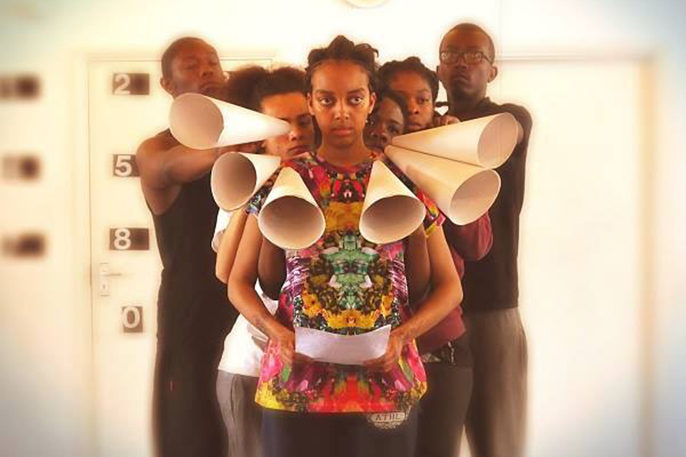 Talawa Theatre Company will present Soapbox at the Royal Central School of Speech and Drama‘s Embassy Theatre from 20 – 22 August, marking the 20th year of its flagship programme, TYPT. This year’s show, Soapbox, will be directed by Christopher Simpson alongside a professional multi-disciplinary team including Movement Director Coral Messam and Gail Babb, Talawa’s Producer for Participation and Learning. Christopher Simpson has appeared in in ‘Brick Lane’ (Film4), Zadie Smith’s ‘White Teeth’ (Channel4), Pericles (RSC), The Ramayana (National Theatre) and Forests (Birmingham Rep). Coral Messam’s most recent theatre credits include Everyman (National Theatre), Lightning Child (Shakespeare Globe) and Feast (Young Vic). On TV and in Film Coral has performed in ‘London Road’ as well as choreographing and performing in ‘Game of Thrones’. Over four weeks of intensive rehearsals the TYPT participants and established practitioners will work together to develop their practice, test ideas with each other and devise new ways of working. The four weeks will culminate in public performances by the TYPT Company. Set up in 1995, TYPT provides a truly unique stepping-stone for emerging theatre makers, including actors, stage managers and designers at the beginning of their careers. Participants’ relationship and development with Talawa does not end with the initial intensive 4-week programme, as the Company continues to offer FREE support to participants as their careers develop. Past TYPT participants have gone on to successful careers in theatre; working as performers, producers and writers for a range of organisations, including The Bush Theatre, Oval House, Theatre Centre and StoneCrabs Theatre Company. Alumni include: Femi Oguns MBE (Director of The Identity Drama School), Nonso Anozie (Disney’s ‘Cinderella’, NBC’s ‘Dracula’, HBO’s ‘Game of Thrones’ and Death of a King’s Horseman at the National Theatre); Sandra Thompson-Quartey (Artistic Director of Writers Avenue Theatre Company), Michaela Coel (Chewing Gum Dreams at the National Theatre) and Shanika Warren-Markland (films ‘Gone too Far’, ‘Adulthood’, ‘4321’ and ‘Victim’). Director Christopher Simpson; Movement Director Coral Messam; Design by Mila Sanders; Lighting Designer Pablo Fernández Baz; Musician Fran Lobo.